Even though it was the largest increase in rents on regulated apartments since 2013, landlords expressed deep disappointment with the Rent Guidelines Board’s Tuesday night vote. 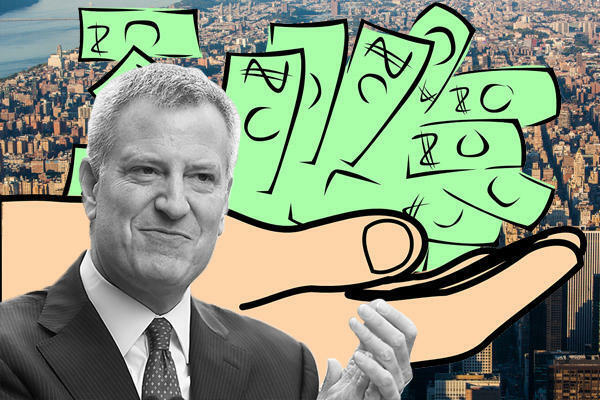 The nine-person body, among the few proxies through which Mayor Bill de Blasio can directly impact rental rates, voted 5-4 to increase rents on stabilized one-year leases by 1.5 percent and two-year leases by 2.5 percent. The increase is slightly higher than last year, when rents rose 1.25 percent for one-year leases, and 2 percent for two-year leases. The Rent Stabilization Association, which represents 25,000 owners of rent-stabilized apartments, issued a sharp rebuke following the ruling, calling the rent raises “pathetically insufficient.” In a report earlier this year, the RGB found that landlord costs of maintaining rent-stabilized buildings increased by 4.5 percent this year, largely due to a 16.4 percent increase in fuel costs. The RSA sought increases of 4.5 percent and 7.25 percent this year. A spokesperson for the mayor said the board “fairly factored in the data” to make its decision, but rent stabilization remains a challenge of the administration, according to the Wall Street Journal. While rent increases have slowed under de Blasio, owners’ costs rose more than 11 percent in four years, while their taxes went up 25 percent. Tenants and demonstrators who attended the meeting protested the increase, and called for a rent freeze, or even a reduction.